The Chinese government has committed significant resources to digital transformation. China leads the world in state-backed online dispute resolution with, among other initiatives, the founding of internet courts in Hangzhou, Beijing and Guangzhou. These courts try disputes on e-commerce, consumer credit, copyright, domain names and certain administrative law matters. Most judicial processes there can be run online, including initial filing, mediation, evidence exchange, and the hearing and announcement of the judgment. Increasing public awareness of the court system, the Supreme People’s Court (“SPC”) has live-streamed over 2 million trials. The Hangzhou internet court heard over 11,000 cases in its first year (commencing in August 2017). It is implementing blockchain copyright protections of online evidence during court proceedings. The internet courts provide online trial services, including on WeChat (Tencent’s multi-purpose messaging, social media and mobile payment app, which has over 1 billion monthly active users). These initiatives have bolstered confidence among Chinese lawyers in adopting lawtech in their practices. The Chinese judiciary has progressively adopted technology. The Supreme People’s Court rolled out several “Smart Court” strategies since 2014, including the National Trial Information System and the Chinese Legal Applications Network Platform (smart systems for legal research and sentencing recommendations). The Beijing Chaoyang District Court Information Office has set up self-service portals for court users to understand and assess their litigation risks by answering a series of guided questions about their cases. A robot called “Xiaochao” even stands in the reception area of the Chaoyang District Court to greet visitors. In 2016, the Shenzhen courts began providing litigants with 24-hour “ATM-like” access points to handle filings and court procedures in minor cases themselves. Since then, Shandong and Zhejiang courts have followed suit. To encourage debt repayment, Zhejiang courts have asked Ant Financial, an Alibaba subsidiary, to blacklist debtors on its credit-scoring system. Blacklisted individuals would face tremendous difficulties in procuring common services, such as travel visas, car rentals and hotel bookings. The state-run Xinhua News Agency reported that such enforcement methods would be integrated with the national social credit system. The public need for low-cost and easily accessible legal services is massive. Based on figures published by the National Bureau of Statistics of China (NBSC), China is estimated to have over 360,000 lawyers (more than 28,000 firms); about one lawyer for every 4,500 people. By comparison, the US has about one lawyer for every 300 people. Chinese people are using the legal system more as the country continues to develop economically. 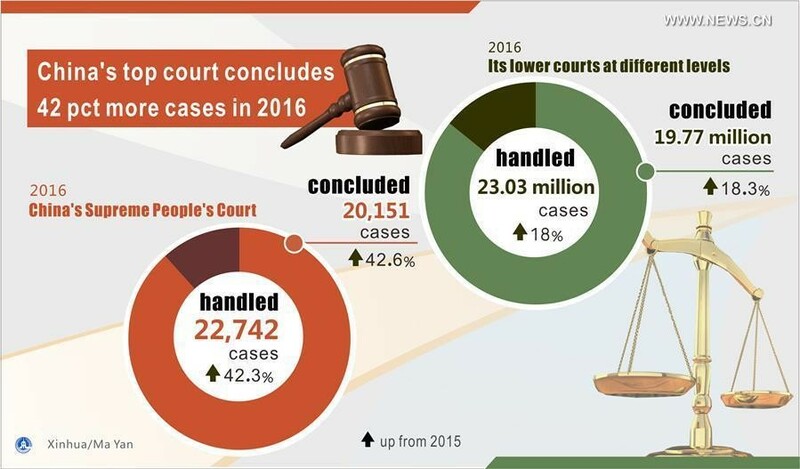 The NBSC reported that nearly 23 million court cases were registered nationwide in 2017 (many of them settled before trial). By comparison, about 5.6 million cases were registered in 2007. However, substantial backlogs in court dockets have remained problematic, despite major efforts in recent years for better adoption of alternative dispute resolution methods. The Supreme People’s Court established the National Mediation Platform in 2018, now with over 1,600 courts affiliated and over 20,000 mediators listed. Shanghai, Henan and other provinces have launched general and specialist online mediation services. Public demand has outpaced resources available, exerting huge stresses on courtroom efficiency and leading to significant turnover of judges. Obviously, dispute resolution is only one area of legal needs, and demand for legal services should increase exponentially over the next five years. The legal system is constantly evolving with regular promulgation of new laws, regulations, guidance and directions. Certain complex reform areas, such as cybersecurity, intellectual property and competition law, have attracted worldwide attention. The resulting uncertainties, in addition to the strengthening concepts of rule of law and access to justice, are accelerating demand for affordable legal services by the Chinese public. There are hundreds of online services, such as the state-run website Legal Services of China, its provincial counterparts and legal news services, which help the public to find legal information and lawyers. The public and private sectors are making great strides in digitizing legal reference materials. These trends together create strong market appetite for web-based informational products. The modern Chinese legal profession is about 30 years old. It has a relatively short history of legal professional customs and norms when compared with other major economies. In this environment, many attorneys are emboldened to quickly embrace technology to gain competitive edge, intensifying entrepreneurship and innovation. There are also plenty of homegrown lawtech vendors, developing machine-learning enabled products on practice and case management, online dispute resolution, legal research and expert services, litigation analytics and case prediction and data visualization. The regulatory environment in China tends to be open towards the growth and adoption of lawtech by practitioners and the general public. Chinese people are highly accustomed to conducting virtually all aspects of their daily lives on smartphones; indeed they outright expect to. The Chinese and African markets co-lead the world in mobile payment adoption. A recent search on Apple’s App Store for “legal service” (“法律服务”) yielded over 40 apps providing legal advice online and connection to lawyers. The same search on the WeChat’s App Store yielded around 20 apps. Many of these apps were developed to market specific firms, establish lawyer marketplaces and “Uber for legal services” platforms. It is unsurprising that legal services are popularly made available online and via mobile app to offer Chinese people the same kind of low-cost and time-saving convenience they would expect of other services. While the factors above are creating fertile grounds for robust, long-term development domestically, it is rather early to tell how the mainland lawtech market would interact with overseas markets and other jurisdictions, such as Hong Kong and Singapore. Chinese lawtech firms do not seem to be doing much to sell outbound presently. There is probably enough at home to get on with. There are also linguistic, legal and regulatory barriers for both outbound and inbound marketing. Document review, contract analytics and other products based on natural language processing and machine-learning technologies tend to perform best on single language applications. 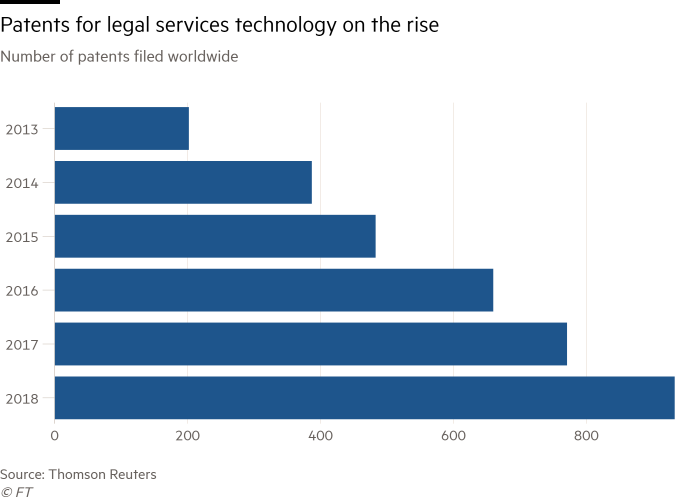 As yet, Western firms have not had much success in adapting AI-driven lawtech products to Chinese, Japanese or Korean languages. For foreign firms, there are also more nuanced market-entry issues. Modern Chinese laws are based on civil law systems. Common law concepts, such as discovery and legal professional privilege, do not exist in China. Judges in civil law systems establish the facts and apply the law to render judgment. They are more investigative than common law judges. Evidence-taking is typically smaller scale in civil law court cases than common law ones, where private parties are sometimes expected to make and pay for mountainous documentary productions. As such, the electronic discovery/disclosure industry has not taken off in China in the same way or scale as it had in the US – although document search and retrieval in legal proceedings are fundamental worldwide needs. Market strategies should definitely be tailored to local legal practices. This article covered five factors shaping the Chinese lawtech market today. Driving the demand side: explosion in market demand for legal services by the general public; shortage of relevantly experienced judges and lawyers; and extension of general consumer expectations to digitizing legal services. On the supply side: positive signals from state-backed initiatives on lawtech adoption; and the growth of Chinese software vendors and entrepreneurial lawyers delivering lawtech solutions (not only “B2C” but “B2B” as well). If the law were society’s operating system, then China is getting a revolutionary and unprecedented upgrade.